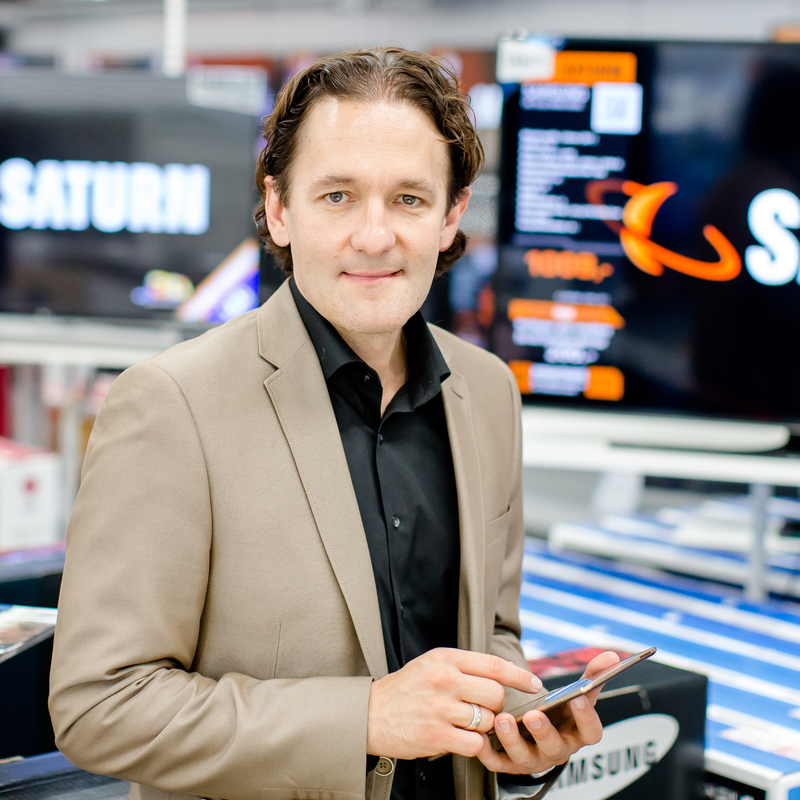 Whether drones, virtual reality or robots, the brands of the MediaMarktSaturn Retail Group are the first port of call for customers when it comes to new products. A specialist team in our purchasing department is always on the lookout for the ‘next big thing’. Because consumer electronics has become a ‘necessity’ in the digital world, we provide extensive services which enable customers to easily use their products, have them delivered promptly, and if necessary have them financed and later on even repaired without delay. In more and more markets, our technicians therefore support our customers directly on site. In order to integrate physical and digital shopping as closely as possible, we continue to work on and deploy new innovations. In-store smartphone navigation systems, robots that answer customers’ enquiries, and virtual reality headsets which enable people to see what their purchases will look like at home: the MediaMarktSaturn Retail Group is already testing things which are set to revolutionize the retail sector. To complement our business models or develop new ones, we have established our Accelerator Retailtech Hub. The digital innovation platform links start-ups, retailers, well-known brands, suppliers and investors with the aim of driving forward forward-looking innovations in retail technology. Start-ups along our entire value chain gain access through us to the mass market – and not just theoretically. An integral part of the three-month programme, which also includes numerous workshops with well-known mentors from our network as well as financial investment, is a pilot project in our stores. Do you have a product which belongs on our shelves? Perhaps a digital retail concept that will take us forward? Or would you like to enter your start-up for the next batch of Spacelab? If so, write to innovations@media-saturn.com. Sie haben ein Produkt, das in unsere Regale gehört? Sie haben ein digitales Handelskonzept, das uns voran bringt? Oder Sie möchten mit Ihrem Start-up an der nächsten Runde des Spacelab teilnehmen? Dann schreiben Sie uns eine E-Mail an innovations@media-saturn.com.